Produktbeschreibung / Product description. 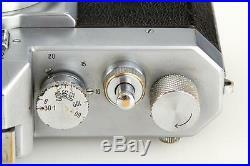 Rare German 35mm SLR and viewfinder camera in good condition, early version with coated screw mount Ucalux V 1.9/5cm no. 100557 (cleaning marks on front element). Zusatzinformation / Additional Information. Modell / Model: Elop. 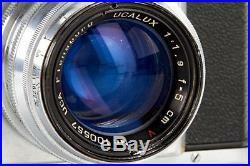 Typ / Type: Ucaflex. 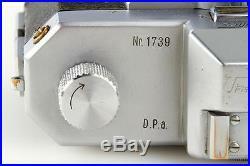 Seriennummer / Serial number: 1739. Zustand / Condition: B. Jahr / Manifacture year: 1951. Bestellnummer / Order number: 25806,1. 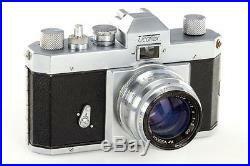 The item “Elop Ucaflex // 25806,1″ is in sale since Friday, May 05, 2017. 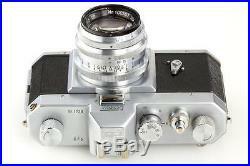 This item is in the category “Foto & Camcorder\Photographica\Alte Kameras\Sucherkameras”. 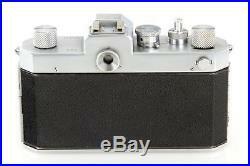 The seller is “www_leicashop_com” and is located in Wien / Vienna. This item can be shipped worldwide.